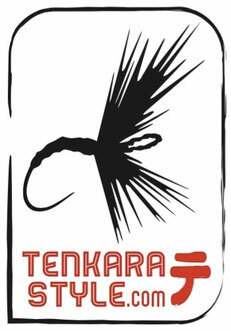 Masami Sakakibara aka Tenkara-no Oni has dedicated the last 40 years to refine his tenkara technique and teach tenkara to countless anglers in Japan. Tenkara-no Oni rods are unique, their balance is so perfect they feel weightless in the hand. We are very proud to offer these exceptional fishing rods. This is Masami-san's favorite rod. Tenkara aficionados will be fond of this incredibly balanced rod. If you are a light level line enthusiast you have to try this rod! Comes in a traditional cloth sock. Based on the Oni Type I, the top section of the seventh part of this new model is made a bit thicker. This rod can be more easily handled by beginners who haven't cast a tenkara rod before. Designed in the same manner as the Oni Type II, this rod is incredibly light and is perfect as a small stream tenkara rod.